With residential real estate values pushing higher, and your mortgage payments moving your debt lower, now might be the best time to take advantage of your home’s equity. Because there are several ways that you can tap into your home equity, it’s important to do your homework. 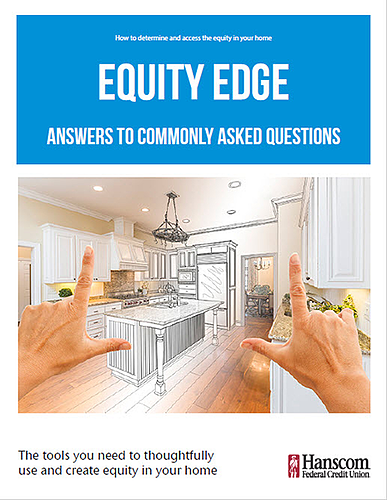 Our no-obligation, free Equity Edge guide will help you to understand the types of home equity financing available and offer answers for many commonly asked questions. Complete the form below to get your e-Guide!